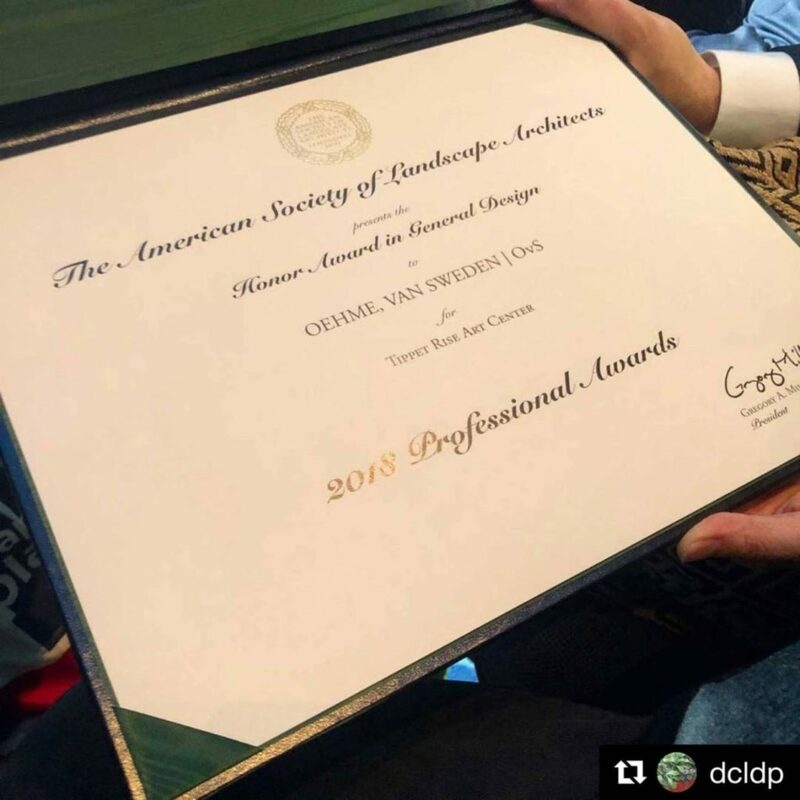 OvS was honored to receive the Honor Award in General Design for the firm’s work at Tippet Rise Art Center in Fishtail, MT at this year’s American Society of Landscape Architects (ASLA) Meeting and Expo. 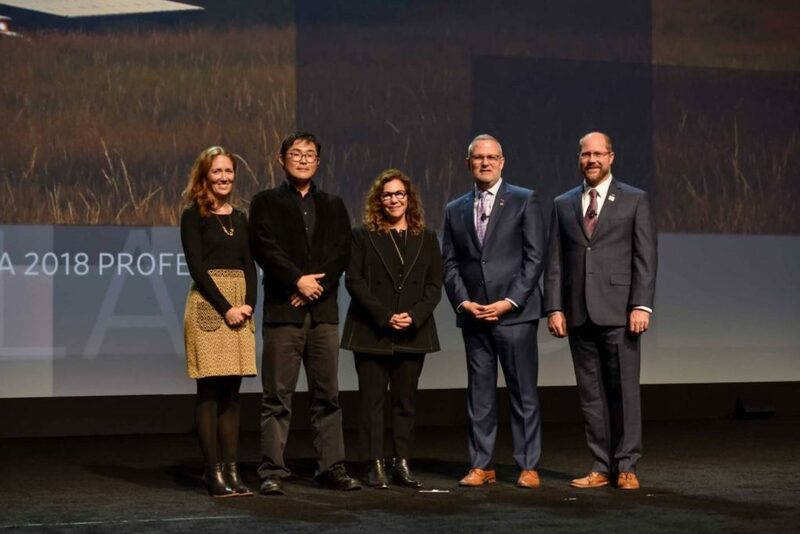 The award, which was presented on October 22nd, recognizes site-specific works of landscape architecture. Tippet Rise, one of the most ambitious international sculpture parks and music venues ever conceived is a collection of large-scale sculpture and intimate music performance venues spread throughout more than 10,000 acres. The sculpture collection includes works by, Alexander Calder, Patrick Dougherty, Mark di Suvero, Ensamble Studio, and Stephen Talasnik.